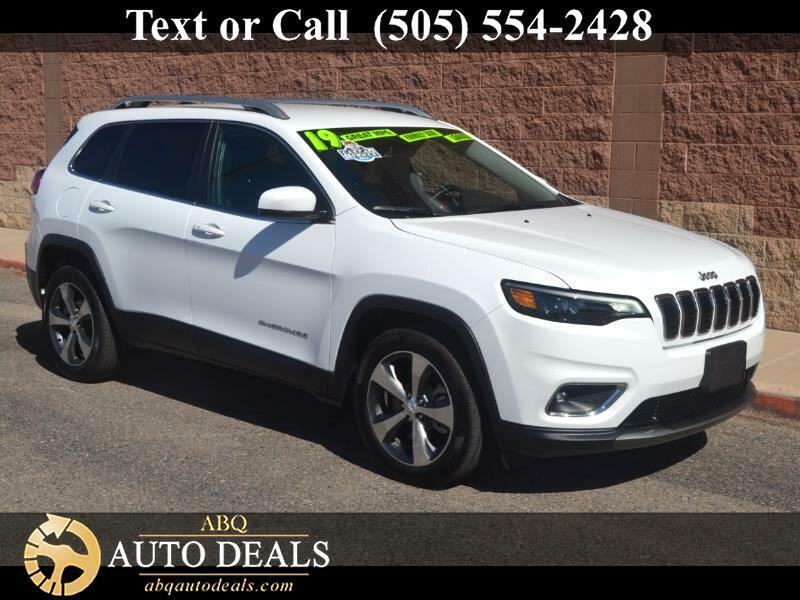 Meet our great looking 2019 Jeep Cherokee Limited brought to you in Bright White and you'll soon see it serves up the perfect blend of luxury and capability. Powered by a 2.4 Liter 4 Cylinder that offers 184hp while mated with an innovative 9 Speed Automatic transmission for smooth shifts. Our spectacular Front Wheel Drive SUV achieves near 31mpg on the open road and provides you with a smooth, comfortable ride. Our Limited is graceful and modern with its chrome grille surround, rear lip spoiler, and good looking wheels. The Limited cabin is a haven of refinement and thoughtful amenities that indulge you each time you get behind the wheel. Sit back in the power-adjustable heated leather front seats, grip the heated leather-wrapped steering wheel with mounted controls, and take note of the auto-dimming rearview mirror, dual-zone automatic climate control, keyless ignition/entry, and more! The prominent touchscreen display with Uconnect access, premium audio, and integrated voice command with Bluetooth lets you stay safely connected. You'll be supremely confident knowing that safety features such as a rearview camera, anti-lock disc brakes, stability/traction control, and multiple airbags are in place to keep you safe and secure. This winning combination of capability, comfort and style are sure to please you! Print this page and call us Now... We Know You Will Enjoy Your Test Drive Towards Ownership! Your buying experience with ABQ Auto Deals is our number one priority.